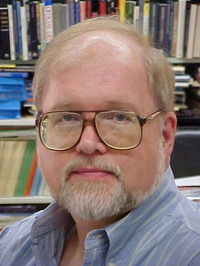 Justin Gustainis was born in Northeast Pennsylvania in 1951. He attended college at the University of Scranton, a Jesuit university that figures prominently in several of his writings. After earning both Bachelor's and Master's degrees, he was commissioned a Lieutenant in the U. S. Army. Mr. Gustainis currently lives in Plattsburgh, New York. He is a Professor of Communication at Plattsburgh State University. Description: A new street drug, called Slide, has appeared in Scranton. But unlike other drugs that humans abuse, this one has the unique potential to addict a range of supernatural creatures. As a result, a war has erupted in the city between two gangs of vampires -- the local Mafia, which wants to keep Slide out, and some interlopers from Philadelphia who want to bring it in. And Stan Markowski is caught in the middle. Description: Someone in the Scranton area is making supernatural "snuff films," and Detective Sergeant Stan markowski of the Occult Crimes Unit is out to stop them -- at any cost. Description: First book in my "Haunted Scranton" series about cops in an "alternate" universe where the supernatural is real. We’d love your help. Let us know what’s wrong with this preview of Electric Detective by E.E. King.
" I nominate (with no shame whatsoever) the "Haunted Scranton" novels by Justin Gustainis, the first volume of which is "Hard Spell." [image] "
Justin Gustainis joined the groups RAR Recommends and Advertise with 'Nightmare Illustrated' and 'Schlock' Bi-Monthly magazines today! We’d love your help. Let us know what’s wrong with this preview of The Devil's Only Friend by Dan Wells. What should our Book of the Month be for the new year?! 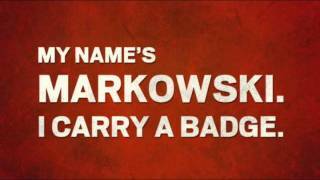 “My name is Markowski. I carry a badge. Also a crucifix, some wooden stakes, a big vial of holy water, and a 9mm Beretta loaded with silver bullets. “You know, I've never asked why it doesn't offend your feminist principles for me to carry this beast for you." For members of the Read It Forward community and all fans of great fiction and narrative non-fiction. Author chats and more!